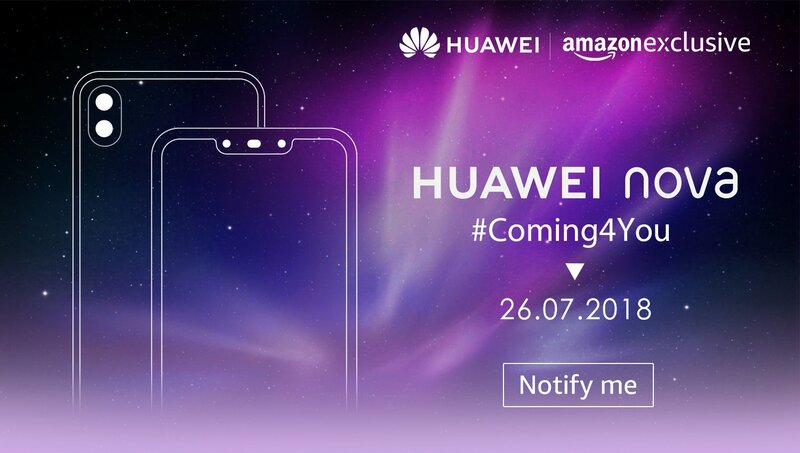 Huawei is all set to launch Nova 3 Series smartphone in India on July 26 which will be Amazon Exclusive. Huawei Nova 3 has a 6.3-inch FHD+ 19:5:9 aspect ratio curved glass display with a notch powered by Kirin 970 SoC with support for GPU Turbo coupled with 6GB of RAM and 64/128GB Storage.Dual SIM device runs Android 8.1 (Oreo) with EMUI 8.2 On-Camera it has a 16-megapixel rear camera AI scene recognition that can detect over 500 scenes and the 24-megapixel secondary rear camera for portrait shots. It has a 24-megapixel front camera along with a 2-megapixel secondary camera. 16MP rear camera with LED flash, secondary 2MP rear camera and 24MP front-facing camera with f/2.0 aperture, secondary 2-megapixel camera Packed with a 3340mAh battery. 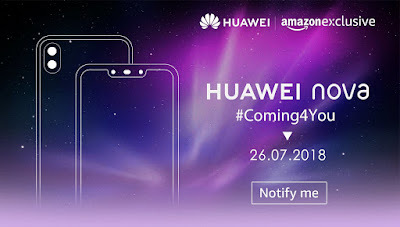 Huawei Nova 3 and Nova 3i China launch on July 18. No details if Huawei will launch Both phones in India or Not. India launch on July 26.